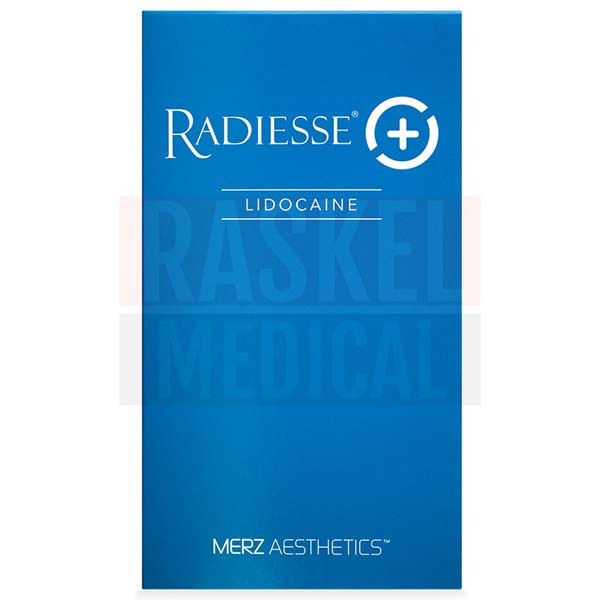 Radiesse (+) 0.8ml with Lidocaine is an FDA-approved cosmetic implant that is made of calcium hydroxylapatite (CaHa) microspheres contained in a semi-solid, aqueous gel carrier. It is indicated for correcting moderate to severe facial wrinkles and folds, such as nasolabial folds, and replacing facial fat loss caused by immunodeficiency virus infection. Its main component, calcium microspheres, are fully biocompatible and have been widely used in medical products for over 2 decades. What Radiesse (+) 0.8ml w / Lidocaine is formulated to do? 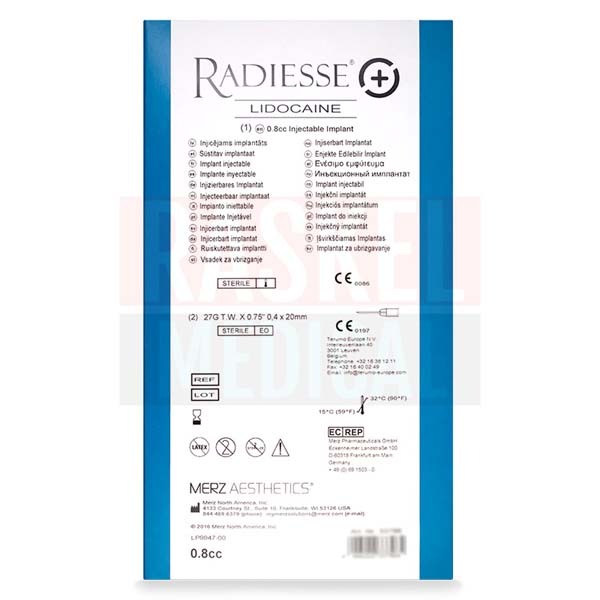 Radiesse (+) 0.8ml with Lidocaine consists of calcium microspheres, which are naturally found in the bones and teeth. It is a generally safe and effective treatment; skin testing is not required prior to administration of this product. The synthetic CaHa of this filler follows the same metabolic pathway as broken bones in a fracture. Over a period of 2–3 months, the gel carrier (carboxymethylcellulose) will be resorbed in the body and replaced by collagen. This filler’s immediate and long-lasting results have left many users highly satisfied. During clinical testing, in vivo injections of this filler showed excellent tolerance. When this product is injected in the subdermal layer, small CaHa microspheres will act as scaffolding that stimulates the formation of tissues similar to the surrounding environment. In return, facial shaping or contouring and wrinkle correction can be achieved. The beneficial effects of Radiesse do not stop when the filler is fully absorbed, because the increase in collagen will continue to protect the skin and keep it rejuvenated. This product is manufactured by Merz Pharma. This product originates from Europe. In a clinical trial for safety and efficacy and actual usage statistics, the following are the common adverse reactions reported after an injection of this cosmetic filler. Refer to the package insert for the full list of side effects, contraindications, precautions, and complications. Radiesse (+) 0.8ml with Lidocaine is compatible with all skin types, including normal, acne-prone, or oily skin. This product is especially beneficial for those who need an increase in hydration. It also works well on mature skin with various signs of aging, such as medium to severe wrinkles and folds, dermal roughness, and volume loss. Skin testing is not required since this filler is of non-animal origin. The calcium microspheres in this product are similar to the ones found in the body; thus, allergic reactions are rare. This treatment is not recommended for patients with a history of multiple severe allergic reactions. Its safety has also not been established in pregnant and lactating women. Refer to the package insert for a full list of side effects, warnings, and contraindications. If any adverse effects are prolonged or worsen, your patient should contact you or another medical professional. The makers of Radiesse, Merz Pharma, is a reputable company in the pharmaceutical industry. This product has gained FDA approval for correcting moderate to severe wrinkles and folds and has recently gained approval for hand rejuvenation. 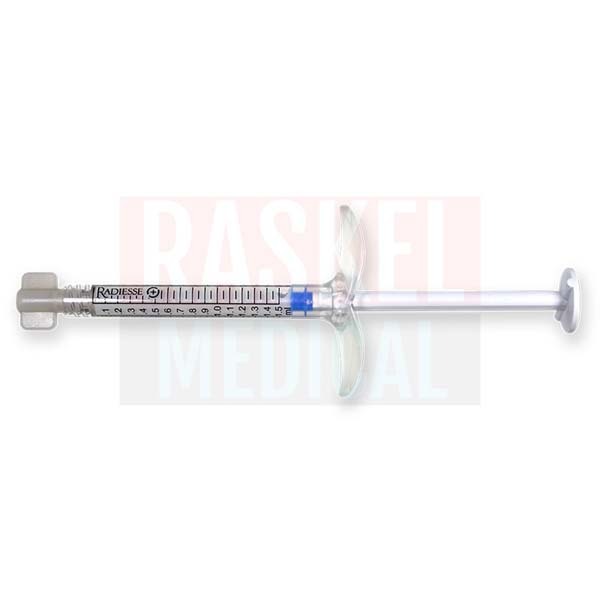 Radiesse (+) 0.8ml with Lidocaine is a sterile, apyrogenic, latex-free, and resorbable subdermal implant that comes in a graduated, single-use syringe. Do not administer if the integrity of the packaging is compromised. Radiesse (+) 0.8ml with Lidocaine can be injected on the face, neck, decolletage, and the backs of hands. Clean and disinfect the treatment area(s) in accordance with proper aseptic techniques. Inject the filler using a 1:1 correction factor. Lightly massage the treated area(s) as needed to help distribute the product evenly. 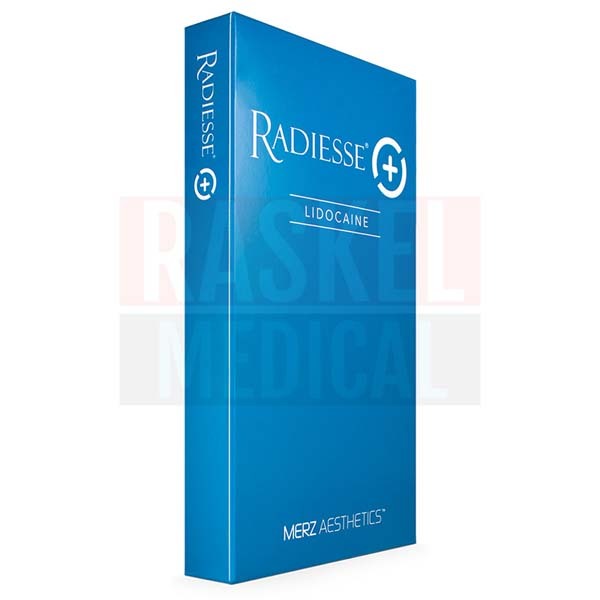 Radiesse (+) 0.8ml with Lidocaine is made of calcium hydroxylapatite whose particle sizes range from 25–45 microns. These calcium hydroxylapatite particles are contained in a sterile, cohesive, and apyrogenic gel carrier. Additional ingredients include water, glycerin, and carboxymethylcellulose. CaHa, the active ingredient of Radiesse, is not easily degraded by the body, making it one of the longest-lasting temporary facial implants in the market. The average duration of Radiesse (+) 0.8ml with Lidocaine is roughly 12 to 18 months. A package of this product must be kept in a cool, dry place away from direct sunlight, so as to maintain the integrity of the gel solution. Store this product at a controlled temperature between 15°C to 32°C (59°F and 90°F). A package of this product can be used up to 24 months from its manufacturing date. Do not use this product past its expiry date.